In Part I of this two part story on Delma Banks, I laid out the State's slam-dunk case against Delma Banks. Banks came to my attention because the Supreme Court just recently cleared the way for Texas to kill him. 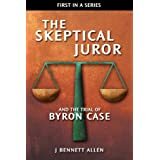 Texas had been giving it their best shot for almost thirty years (the murder having occurred in 1980) and they had come within 10 minutes of doing so in 2003, but the path now looks more clear than ever. If you wish to experience this post as I intended, you should first read of the State's no-brainer case as I took the trouble to present it in The Case of Delma Banks: Part I. I know you won't do that though, if you haven't done so already. I know you. And you won't do that. So I'll do the next best thing. I'll give you a real quick summary of the State's case, real quick, and then I'll go through it again as I did in my first post. This time, however, I'll add the tidbits that bring uncertainty to this seemingly open-and-shut case. Richard Whitehead was found dead in a park where he and Delma Banks had been seen sharing beers late at night. At 4 AM the next morning, Whitehead was shot 3 times. Just 4.5 hours later, Delma Banks arrived in Dallas, 180 miles to the west, driving Whitehead's Mustang and carrying the gun which later tested as the murder weapon. There, Banks admitted to Charles Cook, the State's primary witness, that he had killed someone. On Friday evening, 11 April 1980, 16-year-old Richard Whitehead (the soon-to-be victim) and a 14-year-old female friend, Patricia Hicks, encountered 21-year-old Banks at a bowling alley, and agreed to give him a ride home. Departing in Whitehead’s distinctive green Mustang (with a primer hood), the trio ended up drinking Coors beer together in a secluded park near Nash, Texas. Nash is a small town four miles west of the border town of Texarkana, where Banks lived with his parents. Around 11:00 PM, the trio left the park and drove Patricia Hicks' home. Whitehead and Banks left Hick's house in the victim's Mustang. They briefly visited another of the Whitehead’s friends, Patricia Bungardt, shortly before midnight. That friend too witnessed Whitehead and Hicks traveling in Whitehead's distinctive green Mustang. A few hours later, at about 4:00 AM on Saturday, 12 April, Mike Fisher heard two gunshots coming from the part of the park where Whitehead and Banks had been drinking beer. On Monday, 14 April, at 10 AM, Whitehead's body was found in that portion of the park. He had been shot three times; his Mustang was missing; empty cans of Coors beer were strewn about. Returning to the early hours of Saturday morning, Banks traveled approximately 175 miles west to Dallas, Texas. He arrived by 8:30 AM, about 4.5 hours after the gunshots had been heard. When Banks arrived in Dallas, he was driving a distinctive, multi-colored Mustang. There he stopped and asked a couple for directions. That couple, Charles Cook and his soon-to-be wife, Rita, were waiting for a bus that would transport Rita to her place of work. Charles Cook talked Banks into giving Rita a ride to work, and the three departed in the Mustang. After dropping Rita off at work, Cook and Banks continued to ride around together for much of the day. They visited Cook's sister who also noticed the distinctive green Mustang (with primer hood). Banks stayed the next two nights with Cook and his family at Cook’s grandparents’ house in Dallas. That Saturday, while riding around Dallas in the Mustang, Cook noticed blood on one leg of Banks’ trousers. When asked about the blood, Banks said he had shot a “white boy”. That evening, Banks told Cook that he had “decided to kill the white boy for the hell of it and take his car and come to Dallas”. Cook noticed that Banks had a pistol. On Sunday evening, Cook took the pistol away from Banks and hid it. It was later identified as a .25 caliber Galesi handgun. On Sunday, Banks made a collect call from Cook's house to his mother in Texarkana. Banks’ mother urged him to turn himself in. 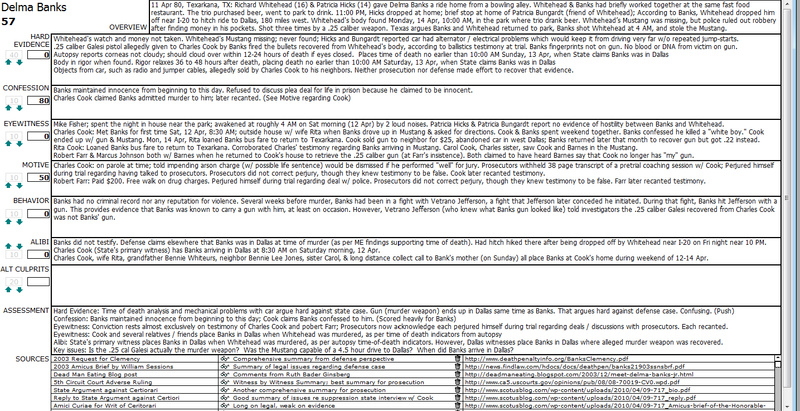 Later that weekend, Banks shared this information with Cook’s neighbor, Bennie Lee Jones. After spending Saturday and Sunday night with Cook, Banks was given bus fare by Rita. On Monday, 14 April, Banks' boarded a Greyhound bus bound for Texarkana. Early on Tuesday morning, 15 April, Cook abandoned the multi-colored Mustang in West Dallas. It was never recovered. Shortly thereafter, Cook sold the .25 caliber Galesi pistol, along with some jumper cables and tools from the Mustang, to his previously-mentioned neighbor, Bennie Lee Jones. Later that month, Banks telephoned Cook twice in an attempt to recover his .25 caliber Galesi pistol. On 23 April, Banks returned to Dallas. He traveled with two acquaintances, Robert Farr and Marcus Jefferson. Farr was Banks’ girlfriend’s brother-in-law. Marcus Jefferson was Banks’ girlfriend’s brother. Unknown to Banks, he was followed by law-enforcement personnel. Upon arriving in Dallas, Banks drove around, looking for Cook’s house. Upon locating it, Banks went to the door of the house while Robert Farr and Marcus Jefferson waited in the vehicle. Banks asked Cook for his gun. Banks returned to the vehicle, and they departed. In the vehicle, Banks told Farr and Jefferson that Cook didn’t have his gun because he had given it to someone else. Cook, instead, gave Banks a .22 caliber pistol. Departing from Cook’s house, Banks, still traveling with Robert Farr and Marcus Jefferson, apparently got lost trying to find the way back to the highway. The still-trailing law-enforcement personnel, after observing several traffic violations, initiated a traffic stop of Banks’ vehicle. A .22 caliber pistol was recovered from the vehicle. Banks was arrested, Farr and Jefferson were released. On 24 April, the day after Banks had attempted to retrieve his pistol from Cook, law-enforcement personnel visited Cook and asked for Banks’ pistol. They were taken to neighbor Jones’ house. There, Bennie Lee Jones returned the .25 caliber Galesi pistol to Cook, who provided it to the police. This pistol was later determined to be the weapon that fired the bullets that killed 16-year-old Richard Whitehead. In summary, Banks was the last person seen with Whitehead. Whitehead was killed where he and Banks had been drinking earlier. Banks drove to Dallas in Whitehead's Mustang. The murder weapon, a .25 caliber Galesi pistol, ended up in Dallas at the same time and place as Banks. Banks attempted to recover the gun, and identified the gun as "his" to his two companions. So there you go. Case closed. The case leaves me baffled. The situation with the gun looks horrible for Banks. If the Galesi was the murder weapon (and no one disputed that during trial), then I think Banks did it, even if I can't figure out the timing. There is no other explanation for the murder weapon arriving in Cook's house at the same time as Banks. Banks and Cook didn't know each other before that weekend. Vetrano Jefferson's statements about the gun (and his fight with Banks) are of mixed value. On one hand, the fight shows that Banks carried at gun on his person just a week before the murder. On the other hand, the fight gave Vetrano a good look at the gun, a real good look, and Vetrano was adamant the gun was different than the .25 cal Galesi that the State says is a murder weapon. On the flip side, the time-of-death indicators (rigor and lack or corneal cloudiness) pretty much put the lie to the State's case. Those indicators, coupled with the State's perjurious primary witness, put Banks in Dallas when Whitehead was being murdered. And finally, the Mustang. 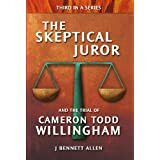 Was it a piece of crap, as Whitehead's two female friends claimed, or was did it run like "a race car", as the State's lying primary witness claimed? And it sure is convenient that Cook dumped the car but can't remember where. So I've done the best I can with my Actual Innocence Scorecard on this one. It shouldn't surprise you it came out close to 50-50. The final answer was 57, meaning I think there is a 43% chance Banks did it. If I had been on that jury, however, I probably would have voted guilty. 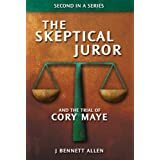 I would not have known that Cook and Farr were perjuring themselves, that the prosecutors knew they were committing perjury, that the prosecutors had given each of their two witnesses powerful incentives for telling me the story the State wanted me to hear. I wouldn't have, at that time, understood the significance of the state of rigor and lack of corneal cloudiness. On the other hand, if I was on that jury and knew then what I know now, I would have voted not guilty. I'm not sure whether Banks killed Whitehead or not, and that is a big fat "Not Guilty" vote. At least in my book. Delma Banks may be innocent. Delma Banks deserves a new trial because of the outrageous behavior of those who prosecuted him. I doubt that Delma Banks would be convicted in a second trial, given the now acknowledged perjurious testimony and favorable treatment of Cook and Farr. It is extremely likely, however, that Texas will instead execute Delma Banks. Ladies and Gentlemen, I submit to you that we have some serious problems with our criminal justice system. Delma Banks Jr., who we believe is probably innocent, has entered a plea agreement which means he is no longer on Texas Death Row. His sentence has been reduced as a result to 40 years to life. (It says the deal makes him eligible for parole in 12 years). Reference:www.foxsanantonio.com. There you can find the story under 'Texas Headlines' entitled '30 year case ends with plea deal' which concerns Mr. Banks. I have so many comments I could make about this post but it would take too long to write them all but I have a couple below. I will say that the comments about the car are not accurate. The car had been repaired from being wrecked and was very unique visually as it was several different colors having not been repainted but it actually ran fairly well. Being a 1969 Mustang it had some minor issues but I can assure you it would have made the trip to Dallas. Also, your comments about the timeline on when he was killed are not accurate either. First the weather was rainy and somewhat chilly that weekend which could have easily had an impact on what happens after death. I can also tell you that a search started in the early morning hours that Saturday when he did not get home by his curfew. Texarkana is not that large of a city and it does not take too long to check the places he might have been. I know as I was helping with the search. You do all this research and try to piece together a theory and make your own conclusions but that is nothing compared to being in the court room and listening to every word being said and seeing all of the pictures and other evidence. You cannot get a true feel for the case. I was in that courtroom and Banks is guilty. Yes, a plea deal was agreed to in recent weeks but it was initiated by Banks and his attorneys. They wanted a deal versus having to go through another sentencing phase and risk another death sentence. The victims family just wanted an end to a 32+ year nightmare and agreed as well. They get some closure and do not have to worry about him getting out of prison for the next 12 years. After that it is up to the parole board but hopefully they will not let him out either.